With the support of Microsoft and Composable Analytics, New America and VICE partnered to moderate discussions about the implications of the rise of Artificial Intelligence (AI). We convened two groups in Boston and New York, bringing together close to 50 leaders in technology, finance, academia, government, and culture for wide-ranging discussions. Technical innovation has brought economic, political, and social disruption since the beginning of time. Some argue that AI not only accelerates disruption, but is bringing about changes that we cannot fully anticipate. Once the technological genie is out of the bottle, it is not possible to halt progress; it is, however, critical to work to anticipate the impact on many different sectors. Inspired by SHIFT: The Commission on Work, Workers, and Technology, a New America–Bloomberg report on AI-related impacts on the future of work, much of the conversation focused on developments in the economy—particularly the workforce—today and in the foreseeable future. We also explored the challenges faced by educators and government in educating and preparing tomorrow’s workforce. Naturally, our robust discussion delved much further, surfacing issues of ethics, bias, cybersecurity, and the very nature of what is meant by “artificial intelligence” in the near and long term. The consensus was to include a diverse set of stakeholders to ensure that this research includes a multitude of voices from wide-ranging backgrounds. This will not only help to identify practical policy issues and resulting proposals; it will also consequently add to the scholarship of our work and craft narratives accessible to broad audiences. By virtue of additional convenings in more cities and developing creative media that broadens Americans’ understanding of AI, we will anticipate the issues that must be addressed in the near to long term and bring them to the attention of policymakers. A fundamental issue in discussing AI is to define what we mean when we use this term. Concepts range from the machine learning on which we already rely in our banking, media, health care, transportation, and many other sectors, to fully-fledged intelligent robots able to replace humans in a variety of tasks. How we define AI leads to whether we fear the potential implications of artificial intelligence, or view it as a useful tool for more meaningful work and better life outcomes. Popular images shape this public perception. People are influenced by both dystopian movies and books that forecast a robot takeover and attractive marketing of products that promise to ease our daily tasks, improve customer or patient experience, or increase profitability. Neither scenario is fully accurate. As technology improves at a remarkably fast pace, popularly misunderstood leaps in technology advancement feed worst case scenarios of loss of jobs—and even relevance to society. Given the importance—and lack of —popular understanding of AI, what future possibilities exist, and how soon they will be upon us, it is critical to provide accurate portrayals in ways that are relatable to the general public. 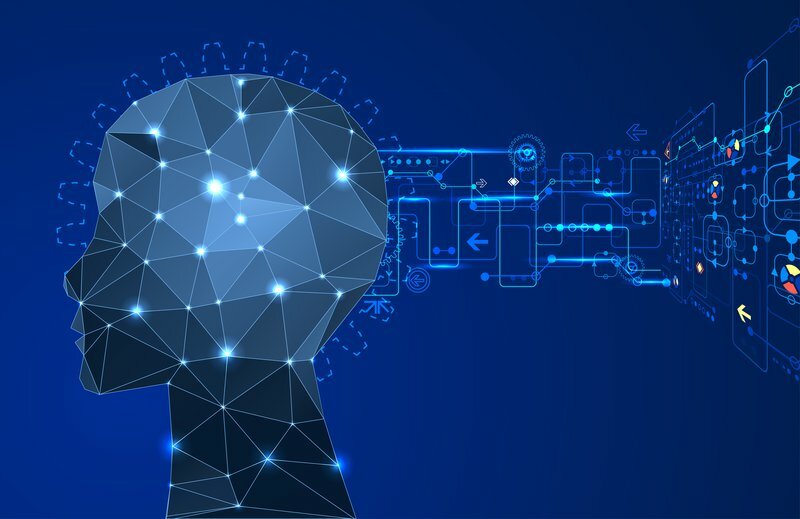 Representation of AI in popular media is an important facet of building the public’s perception and understanding both of today’s AI, as well as the anticipation of the possibilities of tomorrow. Without the broader public’s understanding of AI, what could be a steady evolution toward a more AI-infused economic structure could descend into regulatory barriers sparked by fears. Governments may try to stop or slow developments in order to avoid drastic consequences for constituencies, but technological development will not be stopped. Artificial intelligence will impact all industries, from manufacturing to legal work, and any task that can be automated, will be. Modern day technology already presents us with the possibility of driverless cars, and in only a few years, AI will sharply disrupt work opportunities in a number of sectors impacting both blue collar and white collar jobs. And while no one is immune, some will be more prepared than others to weather the storm successfully; the fear being that preparedness will marginalize the already poor and disenfranchised even further. Digital literacy, emotional and social competency (EQ), and adaptability are essential to closing achievement gaps. Human nature is about adaptability; we need to identify new ways to improve these soft skills, prepare individuals for a shifting job market, and ensure inclusivity in workforce development. Leaders from government, business, and academia must urgently explore many interrelated issues: how to train tomorrow’s and retain today's workforce, ensure equity of opportunity, and consider alternative models of income distribution support to avoid mass poverty and instability. AI-led digital transformation has also created a thriving ecosystem of innovative solutions, unique partnerships, and new customers. Take, for example, the Drone Racing League (DRL), which partners with the U.S. Air Force and high tech sponsors to deliver new UAV pilot experiences, pilot training, and new hardware. Microsoft Ventures, an active, strategic partner at key stages of startup’s growth, also invests in companies like Airmap, which leverages AI for intelligent airspace management to power millions of UAV flights. Beyond economics, AI raises fundamental questions around how to foster machine learning capabilities for good. Design thinking, behavioral economics, and data analysis can all directly influence policy. To maximize effectiveness of public policies, human centered design must be utilized, which is why our analysis and planning must review data at a community, sector, and even individual level. The rampant growth in the Internet of Things and machine learning comes with trade-offs in privacy and an increased cyber vulnerability. Consumer convenience may not always trump security. These aspects of the information revolution have ethical implications in how we build AI capabilities and craft the policies that shape them. Machine learning could also be undermined and corrupted if based on inaccurate data sets or biased algorithms. Yet the ability of machine learning to evolve well beyond the original inputs without an opportunity for humans to test and control for the escalation of bias or inaccuracy is a technical glitch that is important to address. Indeed there are efforts underway to provide insights into the forensics of machine learning. A potentially important development in AI policies and tools is to enable us to inspect the evolution of a learning algorithm, and thus ensure that the evolving capabilities continue to produce accurate results and that bias is checked and not allowed to exponentially grow. An agreement among business, government, and other policy leaders to ensure that AI is applied in a safe and ethical manner—a "Geneva Convention" of artificial intelligence—is one way, but not the only way, to make that vision a reality. There is no doubt that the way the world works today is vastly different than the world we lived in just ten or fifteen years ago. The participants unanimously agreed that we need to follow up with more in-depth conversations about future scenarios in order to prepare for the impact AI will have on our society. The first step is to involve more stakeholders at the table in order to avoid working in our own bubbles: ethicists, engineers, community and government leaders, and the military can all make valuable contributions to the discussion. We will strive to hold continuing roundtables in cities around the country, large and small, to capture the different perspectives and market realities. The discussions must be data driven, responding to clear short and long-term questions, and conducted in ways that generate a way forward. We will support the dialogues through research that leverages the contributions of New America’s stakeholders. The discussions must keep an open mind to any fundamental question: perhaps the future is not binary, but rather humans with robotic components. The way machines and humans evolve may be as unpredictable to us today as cell phones were to generations before us. We will curate the dialogue to foster our imagination. The goal is to broaden participants to include a variety of communities, sectors, and geographies in order to have a comprehensive take on AI’s impacts. By including sector-specific discussions, we will strive to identify specific policy recommendations. Through New America's commitment to renewing American politics, prosperity, and purpose in the Digital Age, combined with VICE’s ability to reach vast and diverse audience through storytelling, we are excited to keep this robust conversation moving. This report was produced with the support of Motherboard and Microsoft.